Fabulous sought after historic inner city neighborhood . - 15 minutes walk to the CBD or the Viaduct harbour with its restaurants boat marinas and extensive walkways along the harbour. - 3 minutes walk to the inner city link bus stop. This a very quiet street but very handy to access to the motorway. The house is very comfortable , well equipped with modern appliances and features. Glass covered outdoor areas for eating and entertaining. No loud music at night. Jackie's studio is beautiful and in a great location. Jackie's studio is beautiful and in a great location. 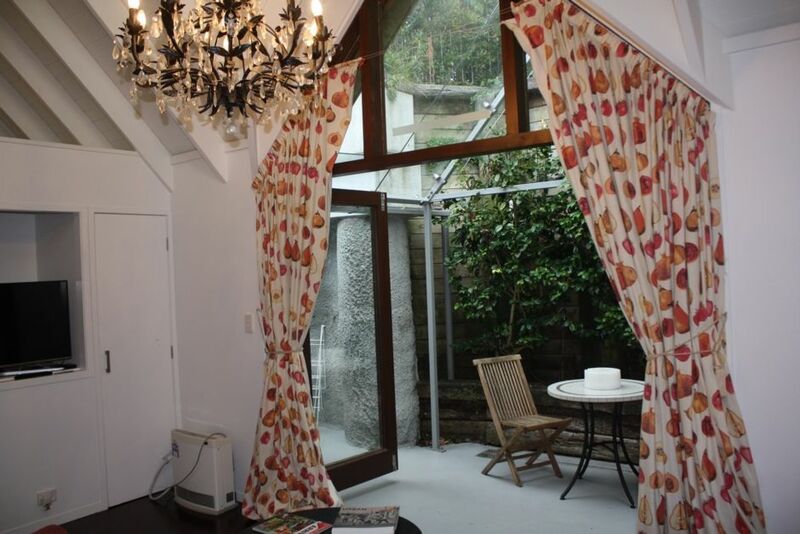 The studio has everything you would need for an extended (or brief) stay, and is very clean and comfortable. The complimentary bottle of wine was much appreciated, and we enjoyed sitting on the patio and enjoying it on a cool night. We highly recommend booking with Jackie! Great location. Very comfortable and easy house to stay in. Property was located very close to Ponsonby road shopping precinct and restaurants. Property was located very close to Ponsonby road shopping precinct and restaurants. Walk was along very steep roads but not a issue. A very clean in a quaint accommodation. A very clean in a quaint accommodation. Loved the location to bars, restaurants and grocery store. Lovely upstairs space (I didn't need to use the downstairs area). Lovely upstairs space (I didn't need to use the downstairs area). Light and airy. Comfortable bed. Nice kitchen and bathroom :) This is an urban setting so there is a little street noise but it's generally a quiet area and you're so close to the city you have to expect there are other people around. Would highly recommend for your urban vacation! Loved the house and the location was ideal for accessing Ponsonby and Auckland CBD. Loved the house and the location was ideal for accessing Ponsonby and Auckland CBD. High quality furnishings, linens, technology, etc. Everything we needed! Would highly recommend.